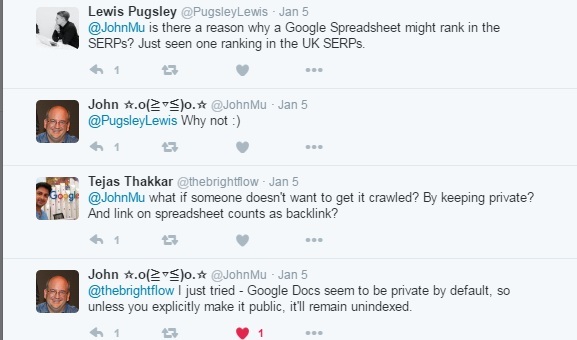 Do Google Spreadsheets Rank in Search Results? Answer is yes, they can! 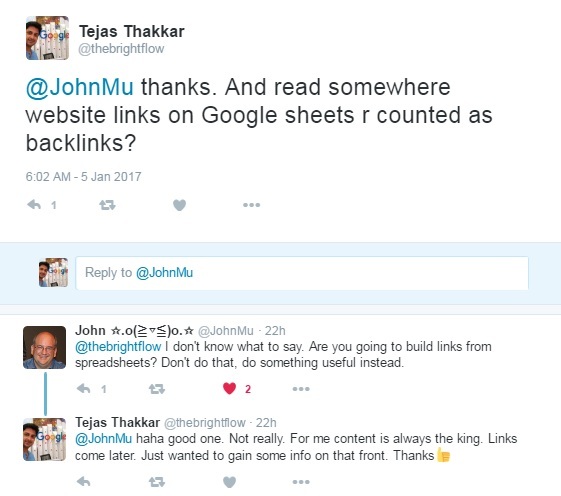 This was also confirmed on Twitter by John Mueller, Google Webmaster Trends Analyst - Switzerland. Here is the link to the conversation: Twitter. This implies, Google Sheets might rank in search results. Following this confirmation from John Mueller, I asked him a way to avoid crawlers from reading the sheets. Probably by keeping the sheets private? To this he replied that Google Docs are set to private by default. Hence they remain unindexed unless and until we make them public. Agreed. Somewhere I believe those links count. You are welcome Satish. Will keep sharing more such articles.